Model and vocalist AKIRA is known for her androgynous punk rock style, and her band, DISACODE, has a matching sound. Thus the soft piano that introduces her solo debut, Aoki Tsuki Michite, comes as a surprise. However, this unexpectedness has turned the title track into anime theme material (it is the ending of Kuroshitsuji: Book of Circus) and made her an artist to look out for. Matching the piano in “Aoki Tsuki Michite”, AKIRA sings sweetly. Her voice is lower than her contemporaries, giving her a mature sound. This is an epic orchestral piece, but she does not belt. Rather the long notes seem to come naturally for her, and she maintains a tenderness even when the instrumentals crescendo. The next track, “CHECKMATE’, better matches her rocker image with its fast guitar riffs and rumbling bass. AKIRA’s voice is breathy in the verse, giving her a tantalizing air of mystery. She gets lighter in the chorus, which is a good balance for the hard rock instrumental. The song is so catchy that it’s a surprise this is not an anime theme as well. “Fallen Angel” falls in between the two extreme of the previous tracks: it contains heavy guitar riffs paired with strings. The electronic elements and vocal distortions add a novel, almost-futuristic touch. 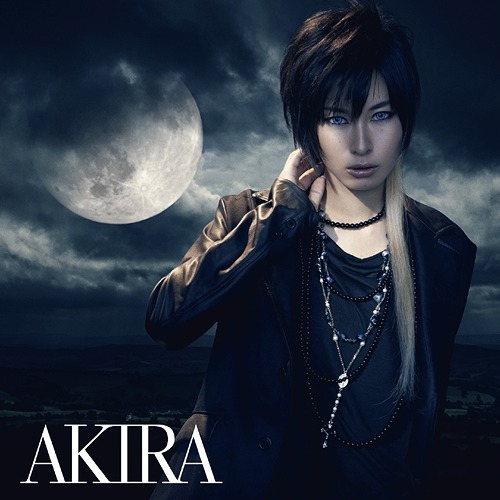 AKIRA’s vocals also present two opposing elements. One line she sounds ominous, the next she gets higher and more upbeat. The juxtaposition creates a strange dissonance that muddles the overall mood of the song. Nevertheless, all three pieces work together to make a strong debut for AKIRA. She has demonstrated her versatility and vocal prowess. She set out to make a name for herself as a soloist, and she has done so.